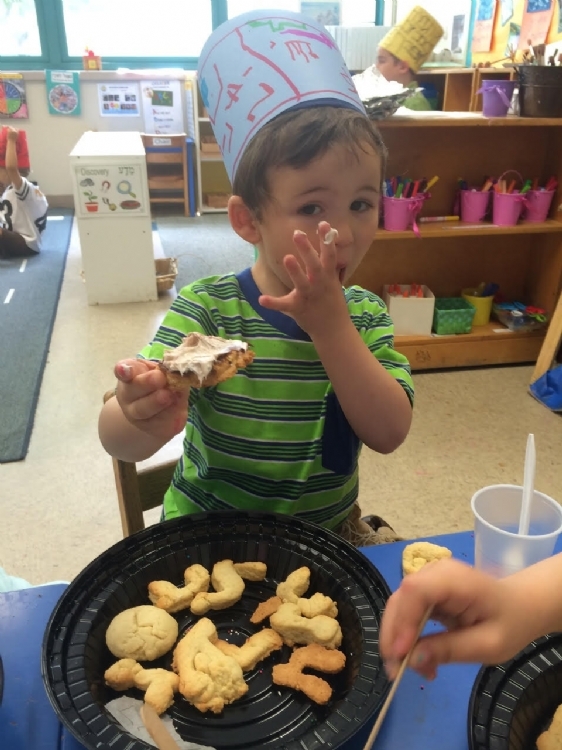 The Early Learning Center at Yeshiva strives to create a foundation of love for Hashem and His Torah through joyful and meaningful Jewish experiences in which children grow and flourish. Our goal is to provide the best in contemporary early childhood education, fostering creative thinking and problem solving. We are committed to working with our families to facilitate the physical, social emotional, cognitive, and spiritual development of each child. The Early Learning Center at Yeshiva is a certified Pennsylvania Keystone STARS facility. Our curriculum and assessment programs are based on the latest research in early childhood development. The staff consists of dedicated early childhood educators committed to ongoing professional development. Our low teacher/child ratio enables us to create individualized experiential lessons geared to the unique needs of each child. Children painting, constructing, molding, cutting, baking and more, reflecting their choices and level of development. Parsha and Alef Beis coming to life, imbuing the children with Torah-true values. Children as young as 2 years old dictating stories, “writing” in their journals, and creating poetry. Inspired by the weekly Torah Portion, Jewish holidays and values, our integrated curriculum promotes independence by offering choices and encouraging children to take the initiative. We use The Creative Curriculum® which aligns with Pennsylvania Early Learning Standards and includes literacy, early math, science, and social studies. Our program uses behavior management practices that are proactive and preventative. Children are taught the skills they need to regulate their own behavior, empowering them to make good choices. Positive behavior is further supported by an enriched environment, on-going observation of individual children, as well as close supervision.